Keeping busy with a Porsche project? If so, you might be confused about which parts and accessories would best suit your needs. The truth is, it’s not that complicated. There are three main part categories: genuine Porsche parts, original equipment manufacturer (or OEM) products and aftermarket parts. Depending on your budget and desired effect, any of these three categories could be the right choice for you. Here are the main things you need to know about them. 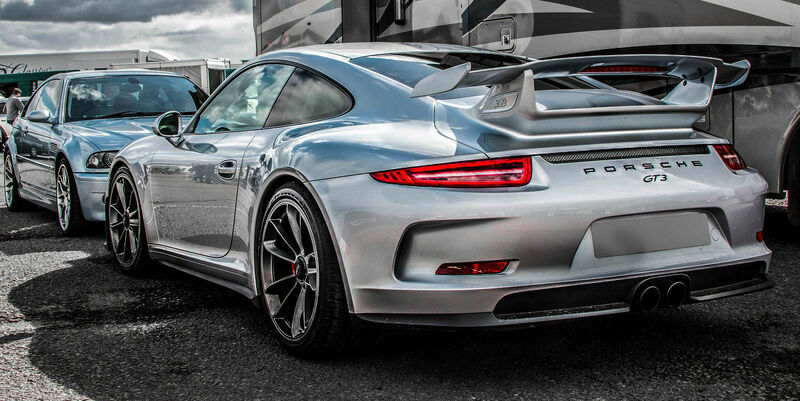 As the name implies, these parts come directly from Porsche’s own distribution network. They will always be sealed in the original packaging, complete with number identification labels and Porsche logos. With these products, you can rest assured that you’re getting exactly what the factory intended. Every one of these parts goes through Porsche’s quality control system, and it will usually be identical to the original part placed in the car during assembly. Of course, there are some notable exceptions. For example, Porsche will sometimes put out an updated version of the part that comes in a different color or shape. Nonetheless, it will fulfill the same function as the original part. Did you know that Porsche doesn’t actually manufacture most of the components in their cars? Instead, they’re far more likely to contract with their many suppliers and focus on facilitating the final assembly. This method is used for most modern Porsche cars you can see on their dealer lots. For instance, take the car’s braking system. If Porsche uses a brake caliper manufactured by Brembo, that particular part will be marked OEM. This product wouldn’t be sealed in Porsche packaging, so you can’t call it “genuine.” However, it’s important to note that this theoretical brake caliper would probably work exactly like the one bought directly from Porsche. The same applies to any other OEM parts, such as Sachs clutch discs, Bosch ignition coils and Koni shock dampers. Unlike the previous two categories, aftermarket products are usually manufactured differently than the original pieces. The main advantage of these components is that they offer some additional benefits, such as higher horsepower or increased strength. Most aftermarket parts are made by independent companies, though original equipment manufacturers will sometimes provide aftermarket versions of their own products. As you might imagine, there are a lot of reasons why a component might be slapped with an aftermarket label. These products come in hundreds of shapes and forms, but some of them have more brand recognition than others. For example, ARP fasteners, JE pistons and Carrillo connecting rods are all very popular with Porsche owners. While most components firmly belong in of these three categories, there are a couple of exceptions to the rule. For example, some manufacturers will produce three different versions of the same part, with each version falling into a different category. If you’re interested in purchasing a part for your Porsche, make sure that it belongs in your preferred category. Additionally, keep in mind that this is only a cursory introduction to the world of Porsche parts. If you’re interested in finding out more about this industry, you might want to do some additional research or contact a professional like the experts at Game-Face Motorsports.